The story of Kabur takes place during the time of Pangea, approximately 100 million years ago. 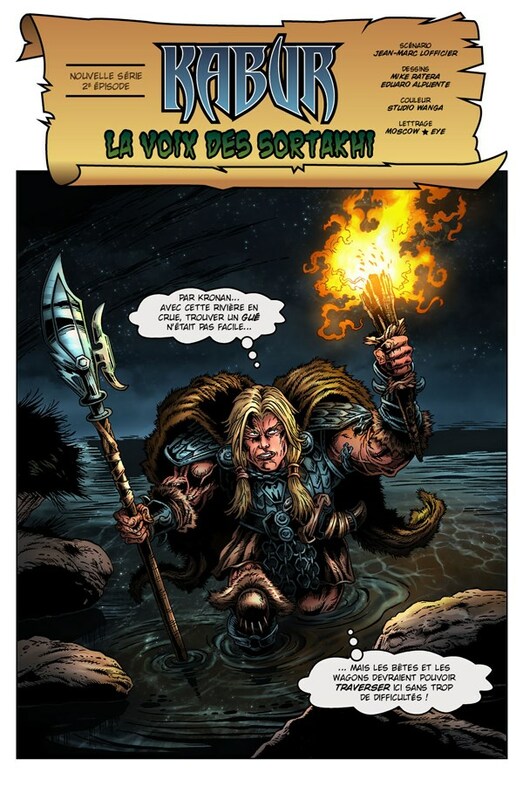 Kabur was born the second son of King Sharon and Queen Damara of the Kingdom of Thule in the land of Hyperborea. His mother died in childbirth and his older brother, Rath, perished in battle against the Shaikortin pirates. Kabur was educated by weapon-master Shaka and court minstrel Gorondur. His childhood sweetheart was Kimera, daughter of Duke Orande of nearby city-state Commorion. Kabur was a boastful and rebellious adolescent. 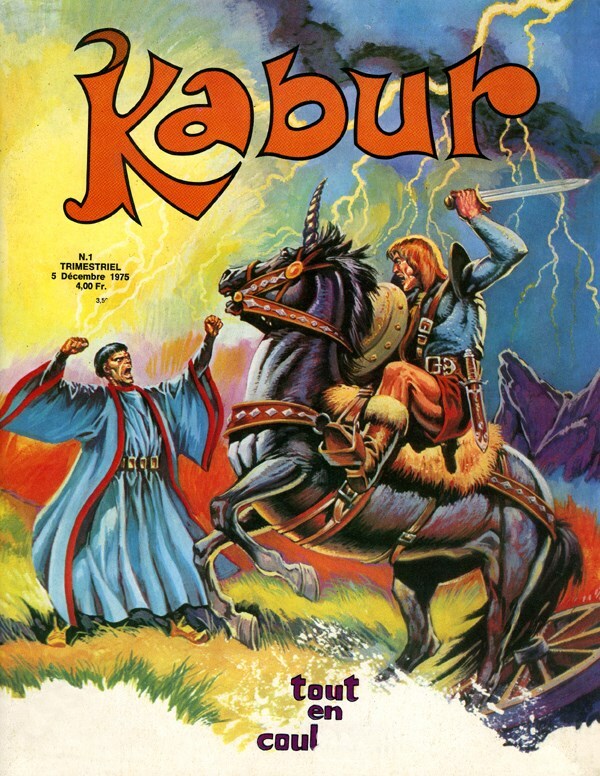 Before Kabur reached his legal majority, the traitorous General Sudryak and Oktar the Merchant conspired with the wizard Sham to turn a man-beast into Kabur's evil doppleganger. 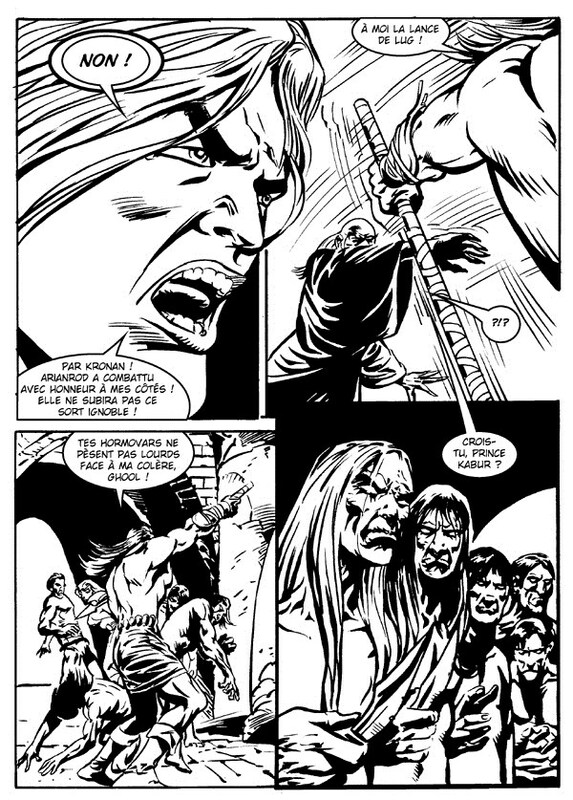 Accused of crimes he did not commit, Kabur was then banished and forced to flee Thule with a mysterious slave-girl. Lagrid. Eventually, Kabur discovered that Sham was trying to destroy him because his family were descendents of the powerful Danaian man-god Lug, sworn enemy of Shivar, Lord of the Abyss, whom Sham worshipped. 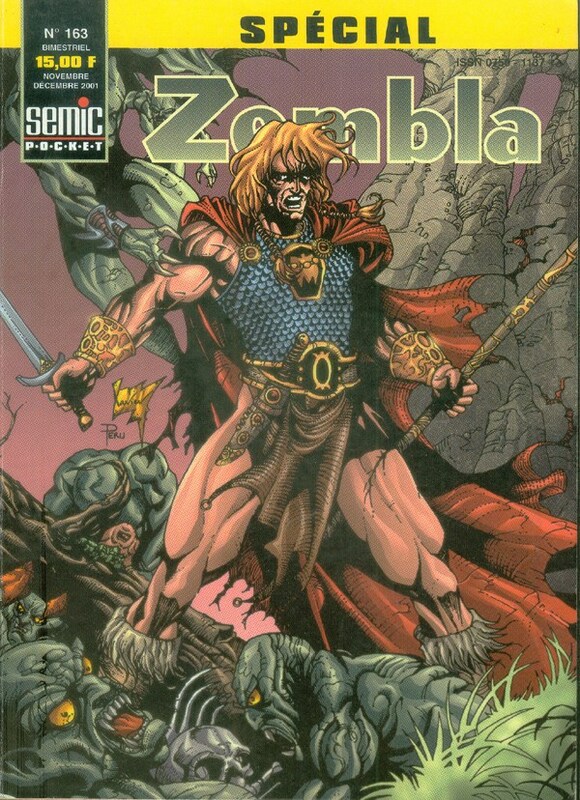 The wizard Balthazar, who was once Moloch, weapon-maker of the Danaians, gave Kabur his inheritance, the magical Lance of Lug, after he recovered the Scepter of Moloch. Kabur then saved the city of Lorgash from his old enemy, Borg, Chief of the Nogol Hordes, who was allied to Balor of the powerful alien race, the Fomore, and who had once killed Lug. Kabur later killed the man-beast who had impersonated him, and cleared his name. Kabur and Lagrid then returned to Thule, escorting Tribhan's great merchant caravan. During the journey, they met and reached a truce with The Reaper, a notorious bounty-hunter from the Brotherhood of Urajii. They fought alonside Zembla against the Demon Queen Mauve. Kabur allied himself with Wampus to fight the renegade Fomore Levan. 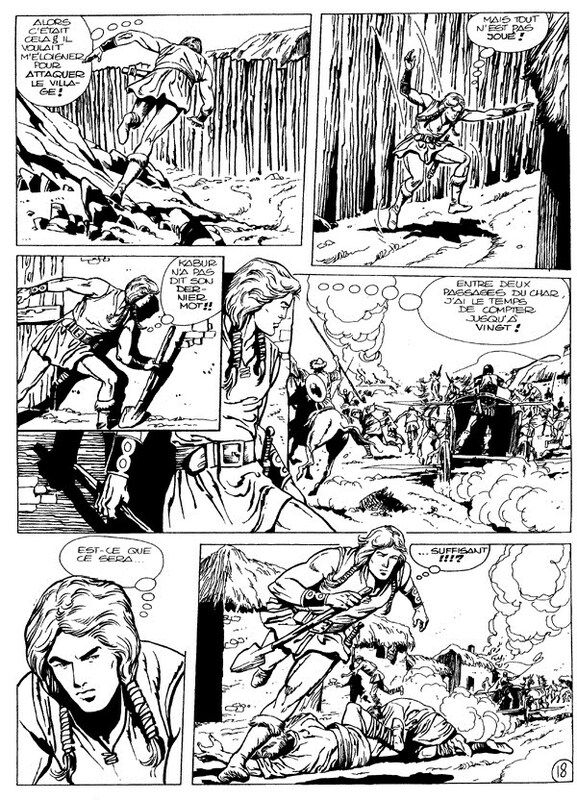 In the city of Ilshanyi, Kabur and Lagrid fought the two ruthless mercenaries Nevlak and Sebho. In Commorion, Kabur made peace with Kimera who had become jealous of Lagrid. Kabur finally arrived back in Thule, and reconciled with his father. Then, Lagrid was taken away by agents of the mysterious Selinor Psah, Sultan-Sorcerer of far-away Arkanal. Kabur embarked on a rescue mission, and met the beautiful Arianrod, the daughter of the King of the Fomore. At this point, the chronicles of Kabur stop. For the story of his resurrection and second life thousands of years later, see King Kabur. For a gallery of covers of the French Hardcover Reprint series (now out-of-print), click here.